Available from KRSS a used fully serviced and refurbished Micromass QTof 2 mass spectrometer with installation and 6 months warranty included. 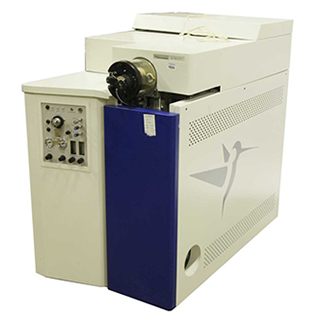 The Micromass® Q-ToF 2 mass spectrometer is an LC-MSMS system, incorporating the simplicity of a quadrupole (MS-1) with the ultra-high efficiency of an orthogonal time-of-flight analyser (MS-2). The Q-Tof 2 instrument utilises the orthgonal time-of-flight analyser to achieve simultaneous detection of ions across the full mass range. This is in contrast to conventional instruments (e.g tandem quadrupoles) that must scan over one mass at a time. The Q-Tof 2 instrument offers up to 100 times more sensitivity than tandem quadrupole instruments when acquiring full product ion (MS/MS) mass spectra. The Q-Tof 2 has a mass-to-charge ratio (upper) limit in excess of m/z 20,000, in both MS and MS/MS modes, enabling the analysis of very large molecules as multiply charged ions. The high resolving power (10,000 FWHM) enables improved mass measurement accuracy for charge state identification of multiply charged ions and greater differentiation of isobaric species. The inherent stability of the reflectron TOF analyser routinely delivers excellent mass measurement accuracy (~5ppm at 1000 Da). The Q-Tof 2 provides the ultimate in performance for high sensitivity de novo sequencing of sub femtomole quantities of peptides. ’PepSeq’ Micromass’ multi-layered peptide sequencing tool is designed to take full advantage of the high resolution MS/MS data from the Q-Tof 2. Initially full product ion (MS/MS) spectra are automatically pre-processed with Micromass’ charge state de-encryption algorithm (MaxEnt-3). Sequence tags are then established to provide the "cornerstone" from which the complete amino acid sequence is extended to cover the C and N termini. (1) Positive ion mode: The signal height obtained from a sample consumption of 200 fmol of horse heart myoglobin (16952 Da) will be greater than 166 ion counts (equivalent to 600 ion counts at 1GHz sampling frequency) on the most intense peak in the change state envelope. A solution of 200 fmol/uL horse heart myoglobin in 50/50 acetonitrile/water + 0.2% formic acid will be infused at a flow rate of 5 uL/min. (2) Negative ion mode: The signal to noise obtained from the sample consumption of 1 ng of raffinose will be greater than 200:1. A solution of 5 ng/uL raffinose in 50/50 acetonitrile/water (no additives) will be introduced at 10 uL/min. The signal to noise ratio will be measured on the (M-H) peak at m/z 503. The mass measurement accuracy of the Q-Tof under normal operating conditions, when at least one suitable peak of known mass is present and which can be used as an internal reference, is such that the RMS error between the measured and the accepted masses of peaks which have sufficient intensity and are free from interference from other masses will be less than 5 ppm over the range from 150 - 900 daltons. (1) oa-TOF pulse repetition rate; variable up to 30,000 pulses/sec. Variable down to 1 dalton at m/z 1000. Variable down to 2 dalton at m/z 2000. Variable down to 3 dalton at m/z 3000. The signal to noise from a consumption of 20 fmol of -Fibrinopeptide B (1569 Da) from a solution of 100 fmol/uL and at flow rate of 5 uL/min will be greater than 30:1 on the most intense y“ sequence ion from the MS/MS spectrum of the doubly charged precursor ion. The signal to noise from a consumption of 2 fmol of - Fibrinopeptide B (1569 Da) from a solution of 500 fmol/uL concentration in MeOH/H2O + 0.2% formic acid solution, using glass micropipettes with 1 or 2 um tips, will be greater than 30:1 on the most intense y“ sequence ion from the MS/MS spectrum of the doubly charged precursor ion. 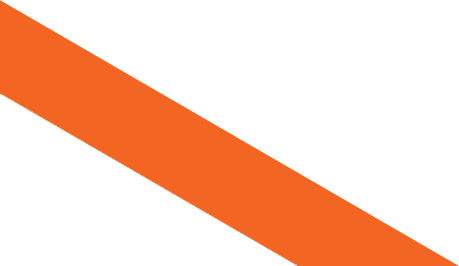 The integration period per spectrum will be about 5 sec and data will be summed over a period appropriate for the required consumption of sample. Measured from the mean of five repeat analyses of the B globin from normal human haemoglobin. Mass calibration to be performed using the multiply charged a globin peaks from a separate analysis. The mean measured mass shall be 15867.2 +0.5 Da and the standard deviation of the mean <0.5 Da. It is recommended that a solution containing 10pmol/uL of each globin in 50/50 acetonitrile/water +0.2% formic acid is used. The raw data should be transformed over the range 15,000 - 16,000Da and smoothed appropriately.